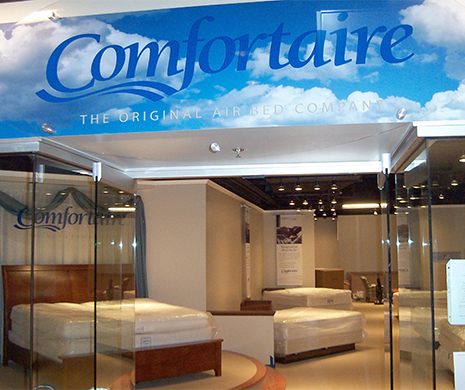 SHOWROOM: For Comfortaire’s showroom in the World Market Center, Las Vegas, we built risers for the beds, the millwork and all graphics. 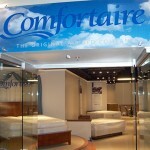 We worked closely with Comfortaire's designer and built all the individual bed areas, the reception area and counter and the back office. 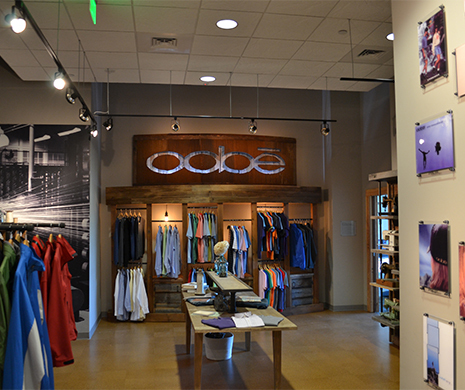 RETAIL STORE AND SHOWROOM: When handed a blank space, we worked with the owners of Oobe to design, build and install all the displays and graphics for their retail store and showroom. This included incorporating several photo tributes and using reclaimed materials from the Upstate to honor Greenville, SC’s rich textile heritage. 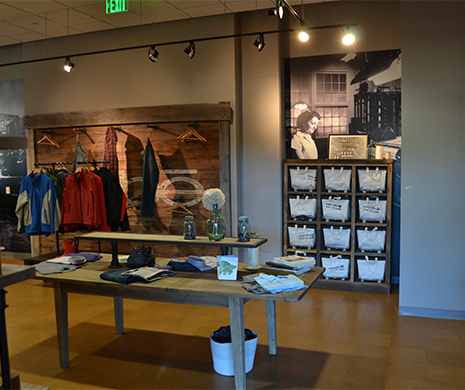 RETAIL STORE AND SHOWROOM: We created a unique way to hang clothes on a reclaimed wood wall using a gas pipe and threaded flanges. Our artists distressed the client's logo and displayed it on the wall. 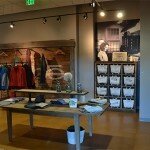 We also built a display to hold canvas bins containing merchandise. Behind that display we incorporated a photo of textile worker in a cotton loom. COUNTER AND BOOKCASES: We built a counter, bookcases and cabinets for The Pool and Spa Connection. The counter has shelving below and the cabinets have adjustable shelves and a sink. 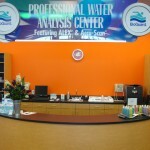 NUTRITION STORE: We designed and built all the displays and cash wrap for this nutrition store. 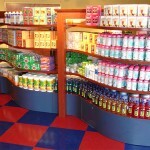 The serpentine shelf display has several different sections to allow the store to reconfigure the shelves in the future. Each section has adjustable shelves and locking cabinets below. 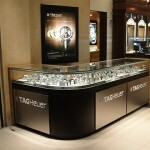 THE FORUM SHOPS: For the Forum Shops at Caesar’s Palace in Las Vegas, we created watch cases and graphics for TAG Heuer. 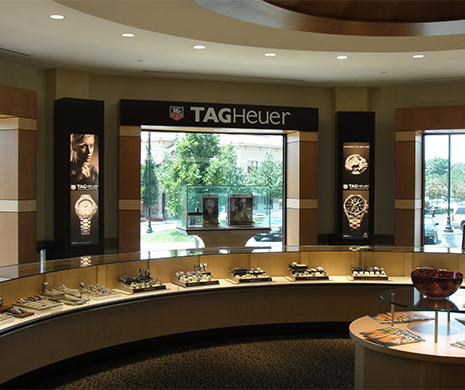 The graphics featured backlit duratrans and a three-dimensional TAG Heuer logo, cut from acrylic. 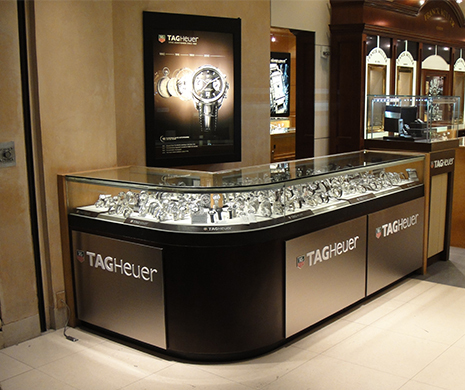 WATCH CASES: TAG Heuer was in need of new watch cases and a back wall unit. 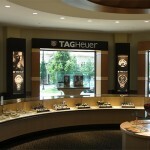 We custom-built and shipped the unit, in addition to being onsite for the Kansas City install. 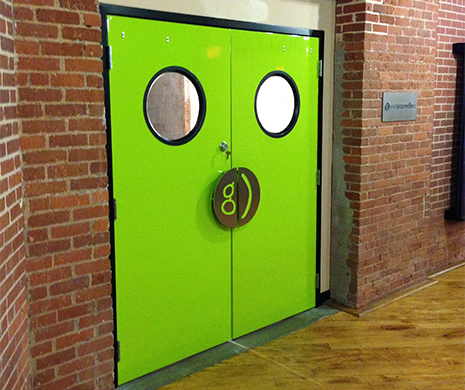 OFFICE DOORS: Our client wanted to incorporate new brand colors and their logo in their office complex, so we built two new doors with glass portholes. 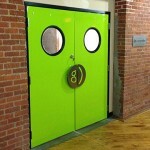 We painted the doors with automotive paint to make the surface durable. Their logo was also incorporated into the door handles by cutting an aluminum plate on the waterjet machine and mounting it using custom spacers and an aluminum backplate. Every project has unique variables — no two are truly alike. Maybe one installation is temporary while another is permanent, or certain signage requires updating while the surrounding themed environment stays the same. 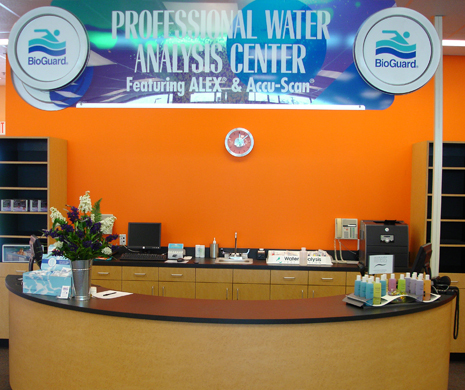 No matter what your project entails, The Source Group can make it happen. 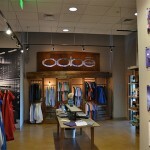 Change the way your customers navigate your store and discover new offerings. 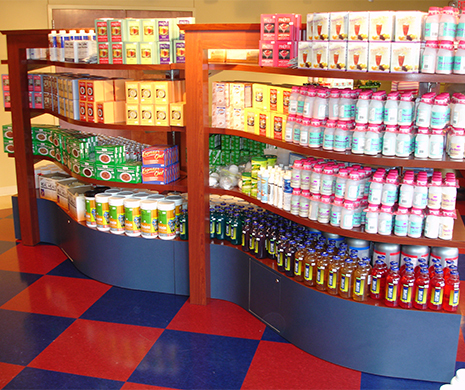 Bring your retail space to life with engaging point-of-purchase displays, product showcases, store signage and graphics, cash wraps, custom fixtures, interiors, millwork and more.